Ex-Lease and Ex-Gov Computers are great computers for those on a budget. We’ve been supplying Ex-Lease Computers for over 15 years. up as Point Of Sale systems that are still running years later. Ex Lease Computers are a great alternative to a brand new computer when you old computer has died. 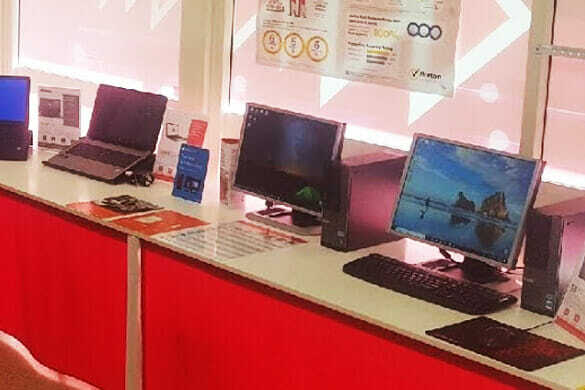 Business grade computers at heavily discounted prices. We buy these units in bulk, wipe and clean them all then setup all essential Windows 10 programs. Plug in your monitor, mouse and keyboard and away you go! Designed to be run 24 hours per day, 365 days per year. We have units that have not been turned off in years! Contact our team of experts. PC Pitstop accommodates everyone – from businesses to a family member who need reliable equipment and everyone in between. We can transfer your files and data from your old computer to your new computer. Bring in your disks for your programs and we can set them up too.